Do you need a place to party 'til you drop? 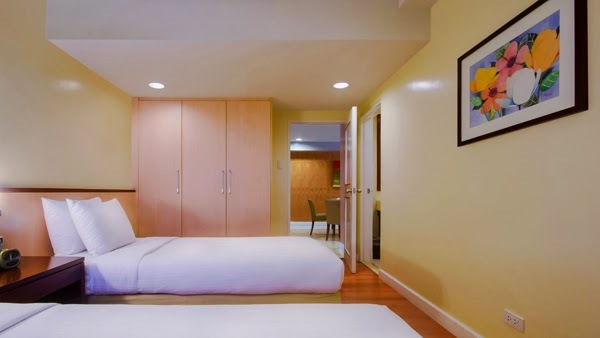 In the center of Ortigas, right in between the famed SM Megamall and the party place Metrowalk is Linden Suites, a two building hotel that offers more than just the basic facilities – it offers a great place to start the party and end the party, whether 'til you drop or until the booze runs out. 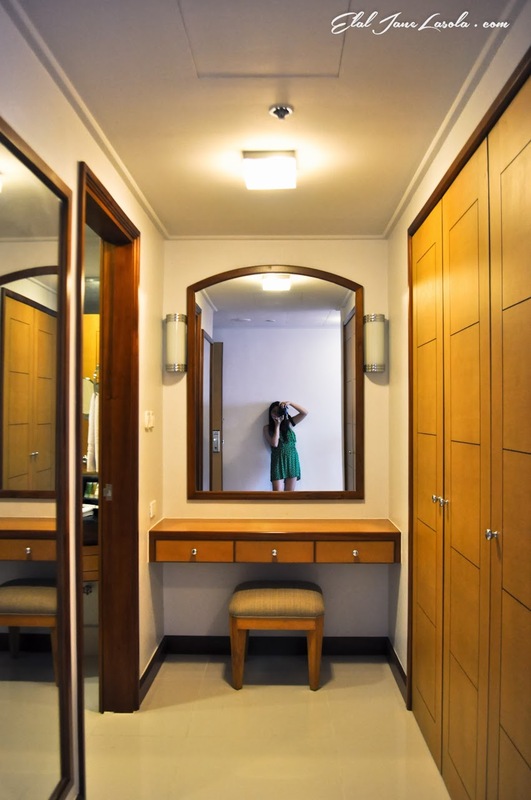 Our second Pinoy Travel Bloggers Party took place in the refurbished rooms of Linden Suites. This time, the rooms we were given had 1-2 bedrooms overlooking the brightened skyline of Ortigas Center. My room had 2 bedrooms, one with a queen-sized bed and another room with a single bed. The queen sized bed I shared with Brenna had an open window that overlooked the city. It also has a full sized closet and a door that lead straight to the bathroom. The room was complete with amenities – two thick robes with matching hangers, a vault, two soft slippers and a stand-up hanger for towels. My room (the one with the queen sized bed) had soft colored lamps by the bed, a full sized mirror, a huge television and a table for working. But really, the overlooking view and the soft bed and huge pillows was enough to enjoy my entire stay. The bathroom was huge, with two doors that lead to the main area and the main bedroom. It had a comfortable bathtub, a sink and complete toiletries for our benefit. In the main area of our suite was another huge television, fronting a small living room with a comfortable sofa and a side table. Beside the fully-equipped television was a work table. Behind the living room area was a dining table and a small, completely equipped kitchen perfect for experimenting and cooking with friends and family. Thanks to FlyAce Corp for these fantastic Frontera Wines from Chile! If you’re looking to throw a house party, Linden Suites provides the comfort, convenience and space. You can bring food inside, do your own cooking or even save yourself all the trouble and just walk your way behind the hotel or to Metrowalk for more food and drink options. 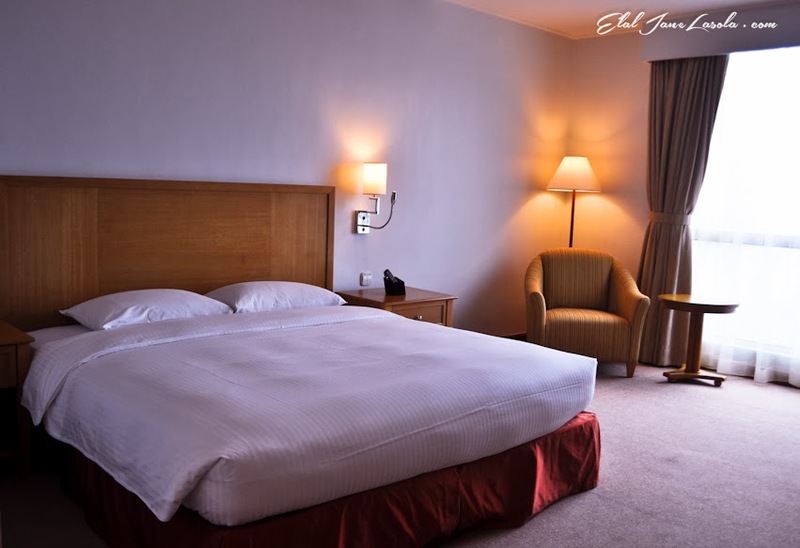 When your hotel is situated in such a prime location, you don’t have to worry about forgetting anything. We enjoyed our house party at the Linden Suites. Do you want to throw yours too? Contact Linden Suites here: 638 7878, email at sales@lindensuites.com, or visit ther website: www.lindensuites.com. syempre d mawawala ang usapang byahe dito, sir. sama ka sa susunod! :) thrasher mina sa fb right?